The Rothco Special Ops Soft Shell Security Jacket are constructed with a breathable moisture wicking fabric and feature a waterproof polyester shell. The 3-layer construction deflects wind, wicks away moisture and retains body heat. 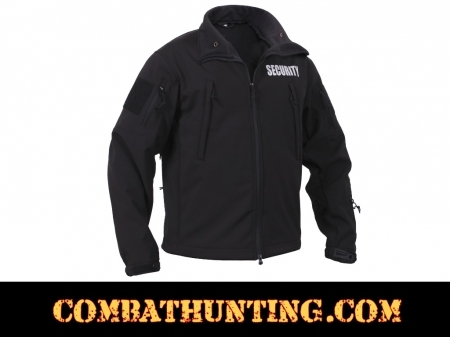 The spec ops soft shell tactical jacket is lined stand up collar with concealed detachable hood, the collar has zipper pouch to hold hood when hood is not in use , vent zipper under each arm , 4 inches x 4 inches loop side of hook & loop on each shoulder for patch attachment , drawstring waist, elastic hook & loop adjustable wrist cuffs. 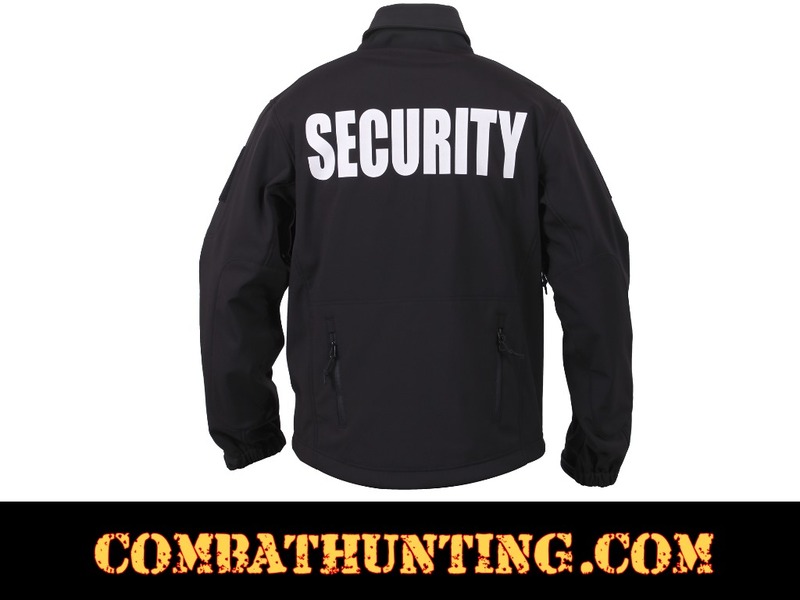 The special ops soft shell security jacket has been especially designed for the security professional with "security" printed 14" x 4 1/4" on the back & 4 3/8" x 1 7/16" on the left chest.